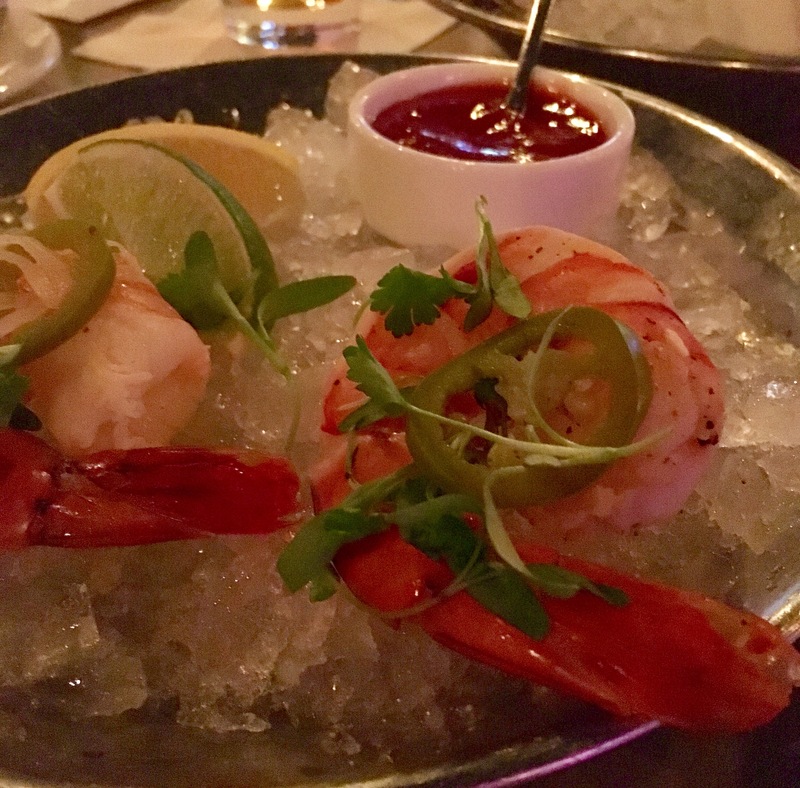 Vegas: Off the Strip, Part Two – Eat, Drink, and Go! 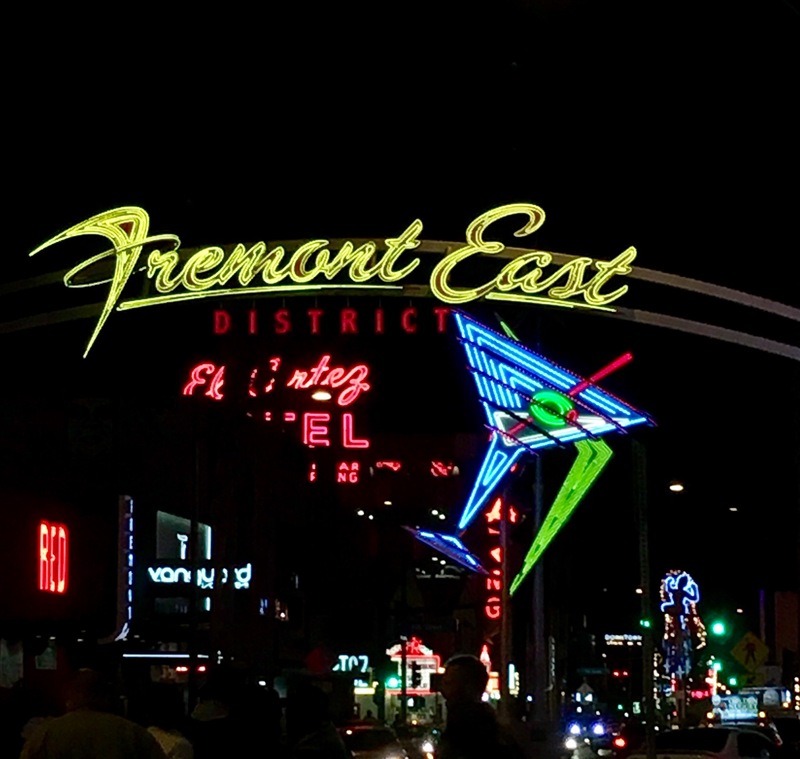 Let go of your classy attitude and dive into the dive bars, street music, and strange sights. It’s a fun place to just walk and watch. 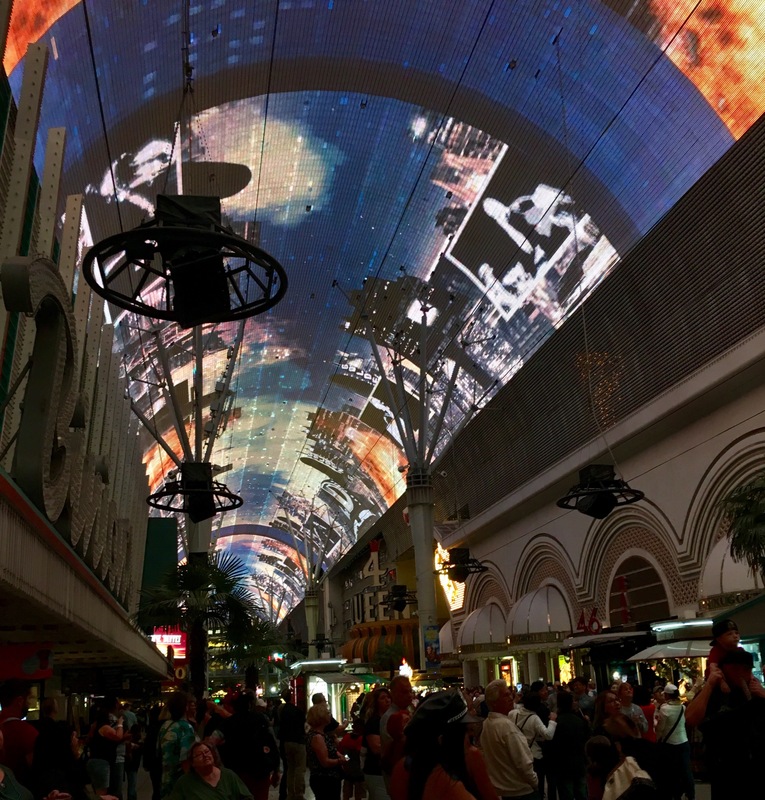 The enclosed dome ceiling lights up regularly casting cool colors over the chaos. There were several live bands along the drag, break dancers, and artists too. I love those artists who do a spray painting in like ten minutes. I’d have bought this one had it not been claimed before he even made it! So cool. 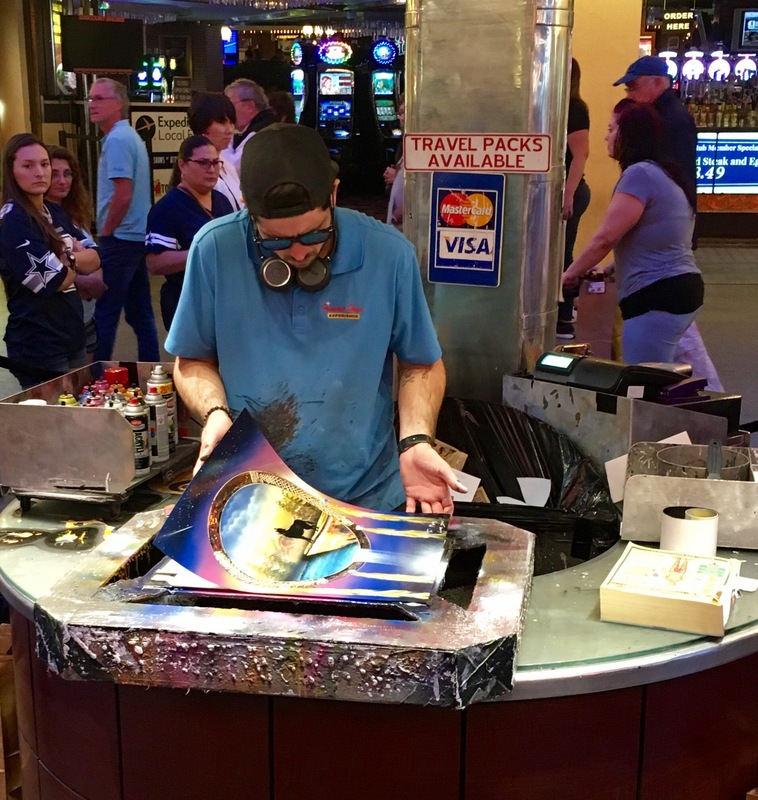 It’s a totally different take on Vegas than the posh opulence of Las Vegas Boulevard, probably only a once every ten years visit spot for me, but still worth checking out. Especially if you have your own transportation – another good thing about my decision to rent a car this time. 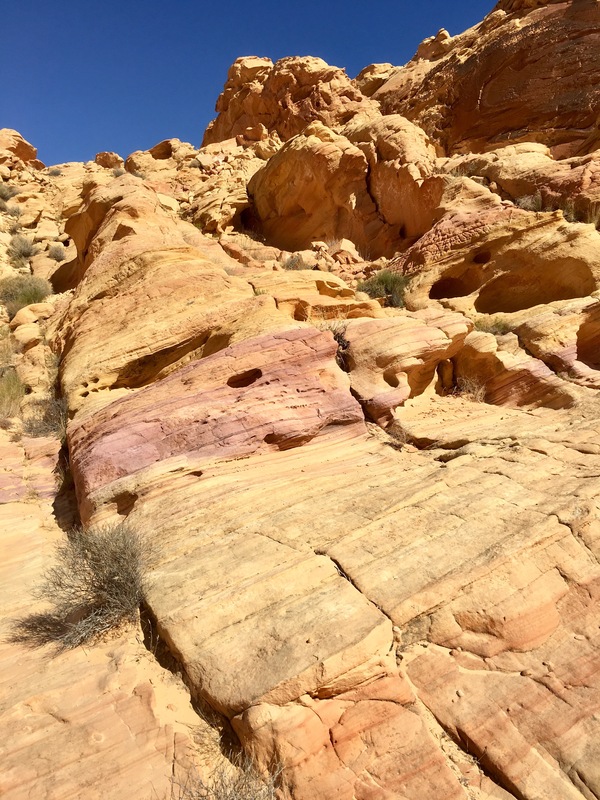 Our next outdoor adventure took us to the Valley of Fire, about an hour north of the strip. 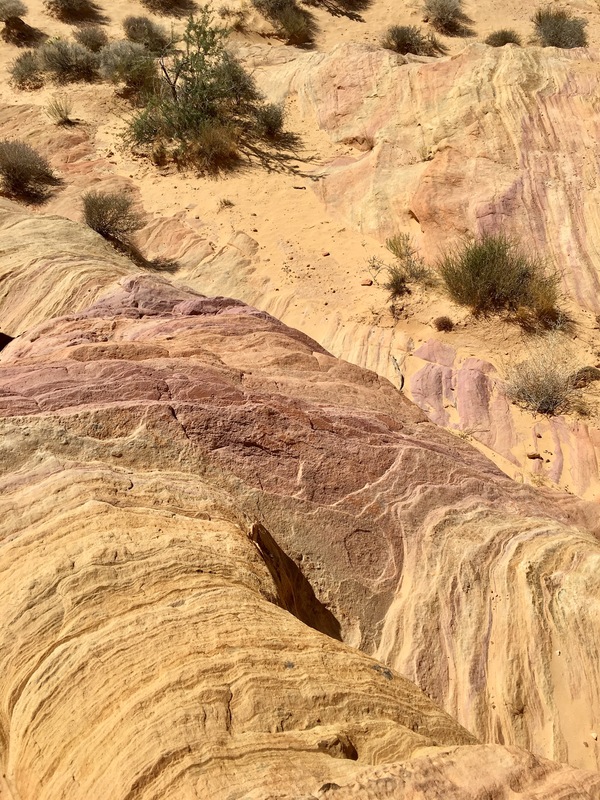 It doesn’t have as many trails as Red Rock Canyon (still my favorite), but it has some cool rock formations, pretty colors, and petroglyphs. We did two short trails. I’m not sure what these petroglyphs (above) mean, but I think it has something to do with the droppings we saw around! 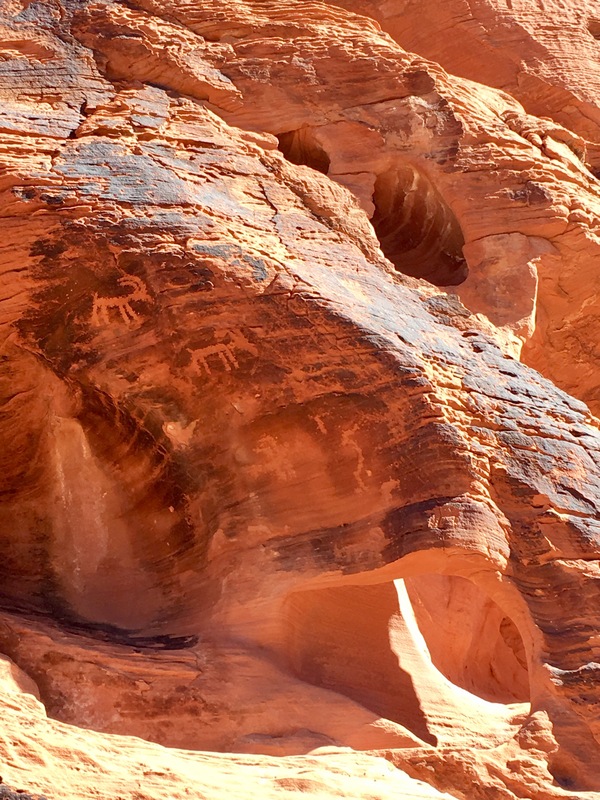 The rocks in the valley are vibrant red, as is the sand, probably why it’s called the Valley of Fire! 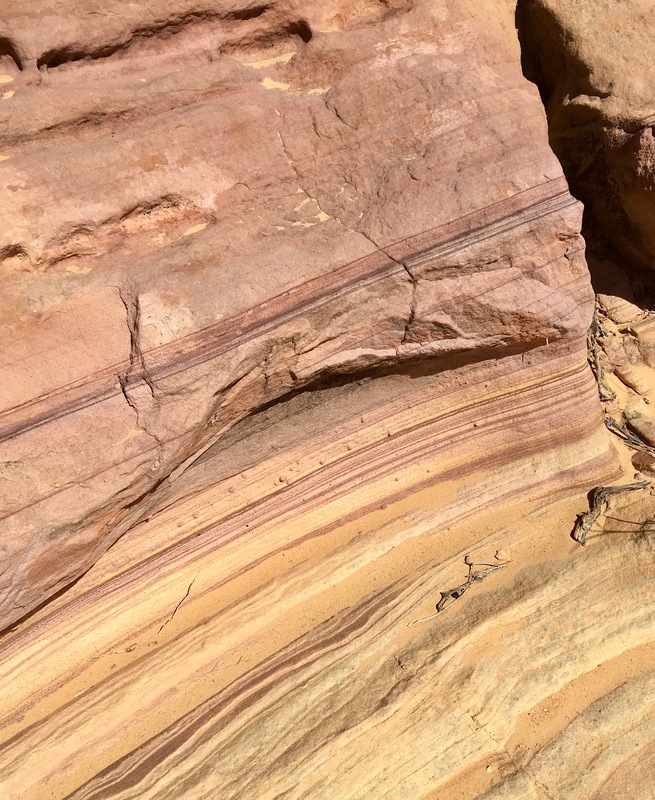 We also saw some really cool purple striations through the rocks in Rainbow Vista. Climbing up to the top and down around the valley, you get plenty of greats view of the scorched land. Looks thirsty! 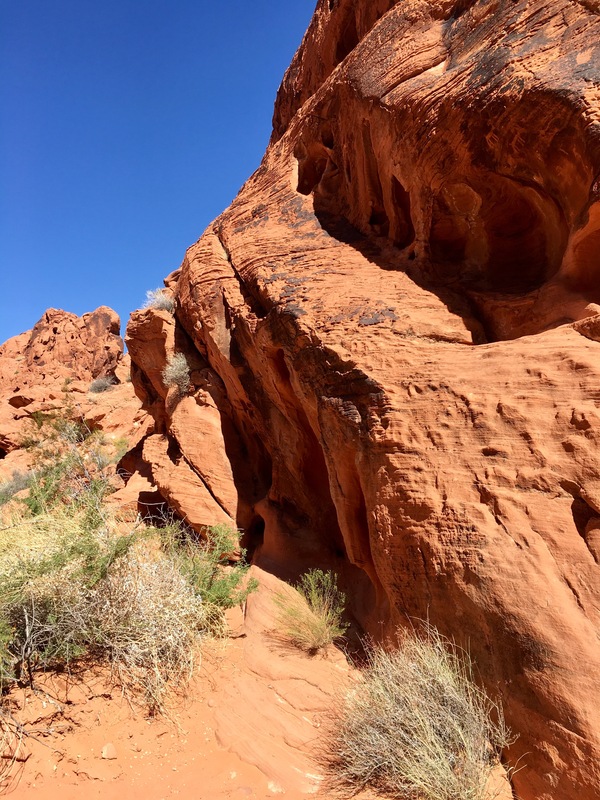 I loved our time in the outdoors at both the Red Rock Canyon and Valley of Fire, and October is the perfect time of year to do this. Warm and breezy, but not cold. Meanwhile, I still did plenty of on-strip activities. Like good eats of course!! A great spot to pre-game on a Monday evening is the social hour at the Cosmopolitan. 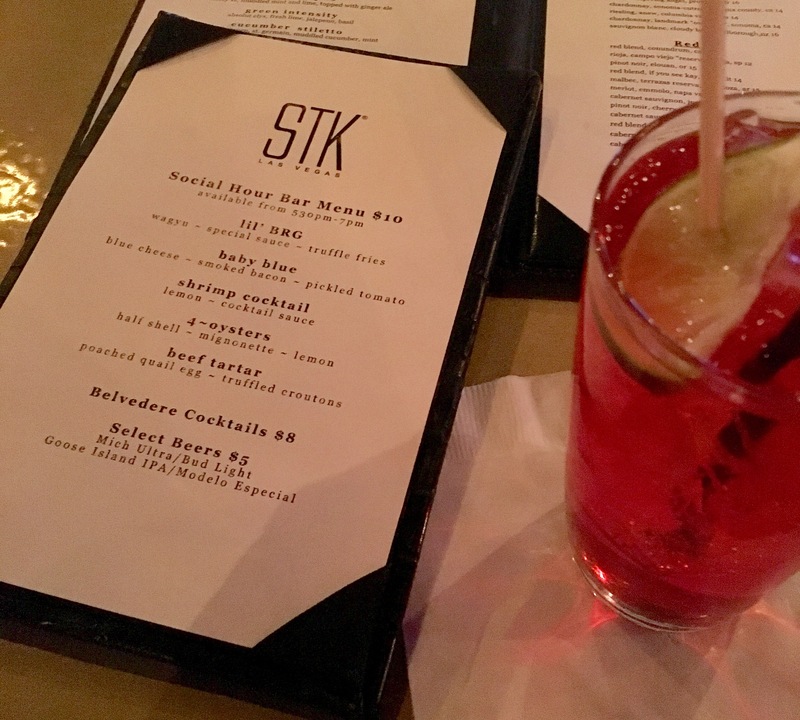 Several of the restaurants have a special menu for early eats and drinks, like STK, where the waygu sliders, shrimp cocktail, and oysters are all $10 each. 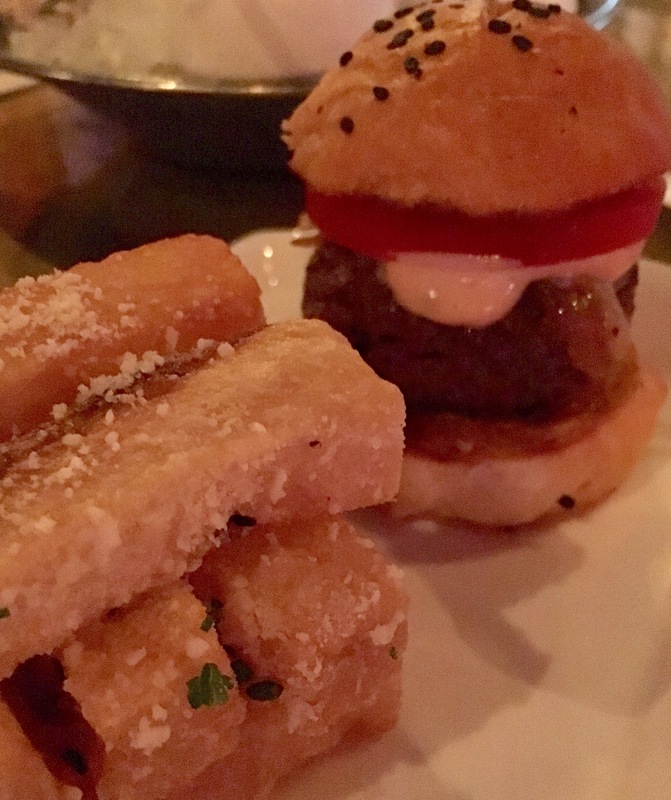 Yes, the plates are small, but that’s why they’re only $10. And there are a few drink specials too. 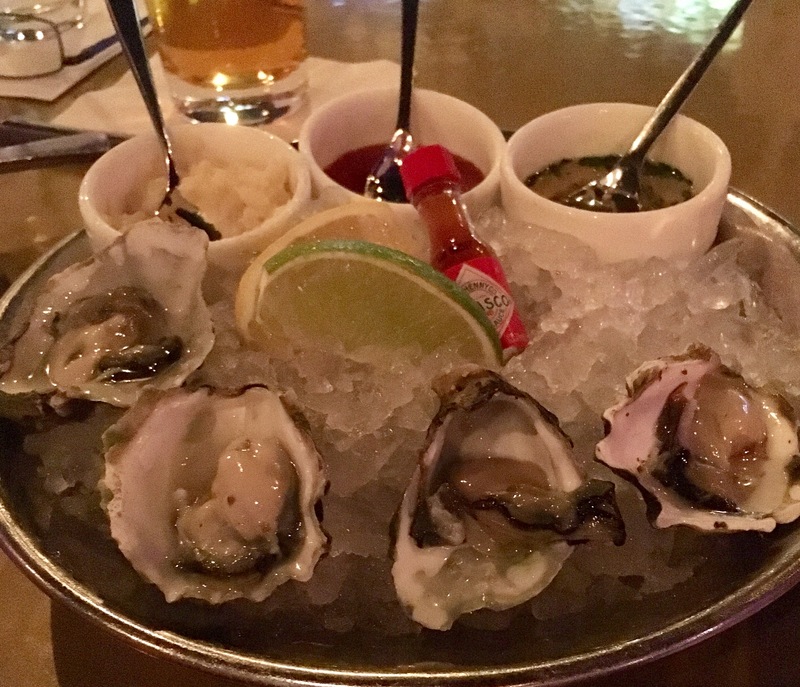 A nice way to kick off the evening with some small bites and a cocktail. We buffet’d at the Wicked Spoon in the Cosmopolitan each morning. You gotta be able to manage the buffets and not over eat. This one has some really good individually-portioned dishes to help with that. 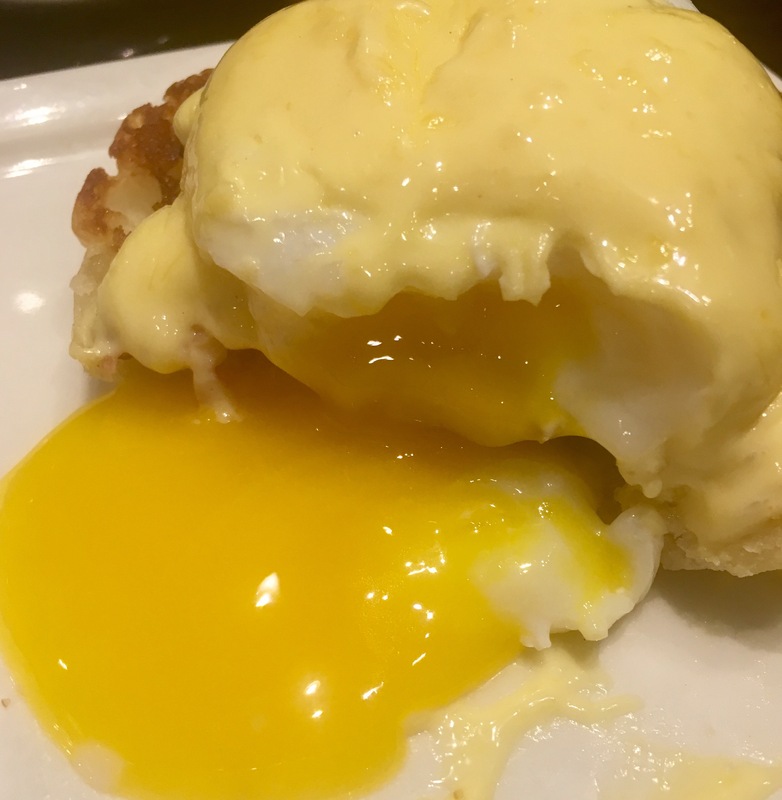 Like a yummy eggs Benedict. Watching that egg run out is always photo-worthy!! 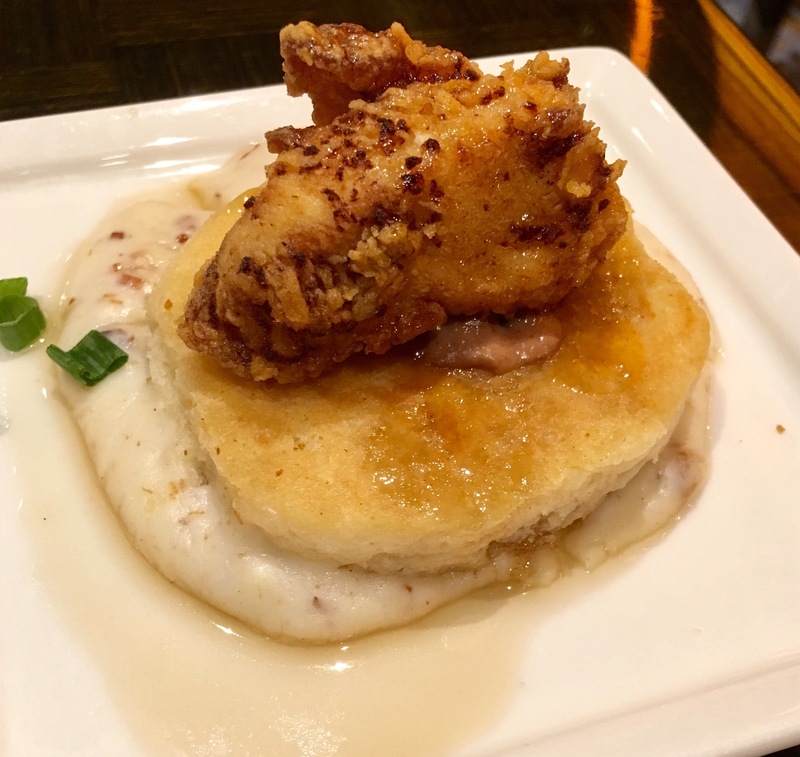 And another cool dish was the maple Bourbon chicken and biscuit. So tasty!! 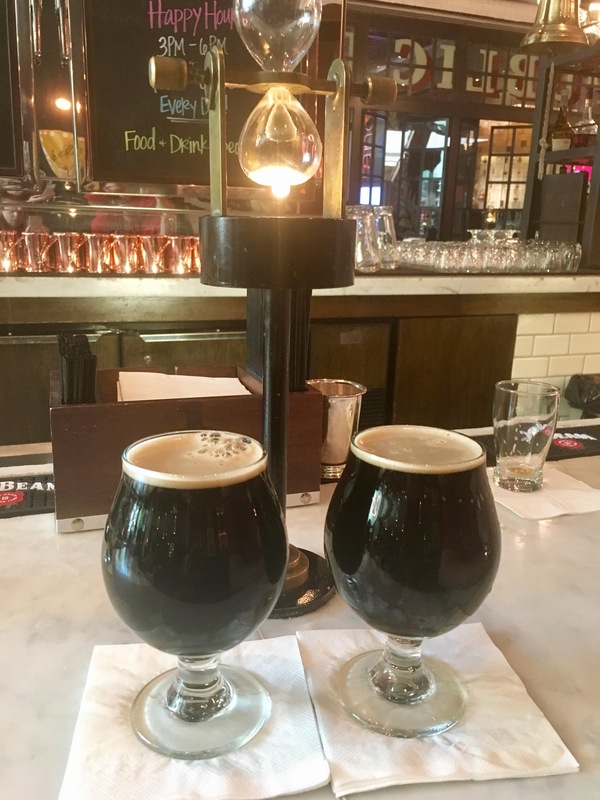 I finished this Vegas trip with my new tradition – an awesome beer (Dragon’s Milk by New Holland) at Todd English’s PUB outside of the Aria. This place has a nice variety of beers on draft and the bartender was great, he let us try a few he thought we’d like based on our taste. 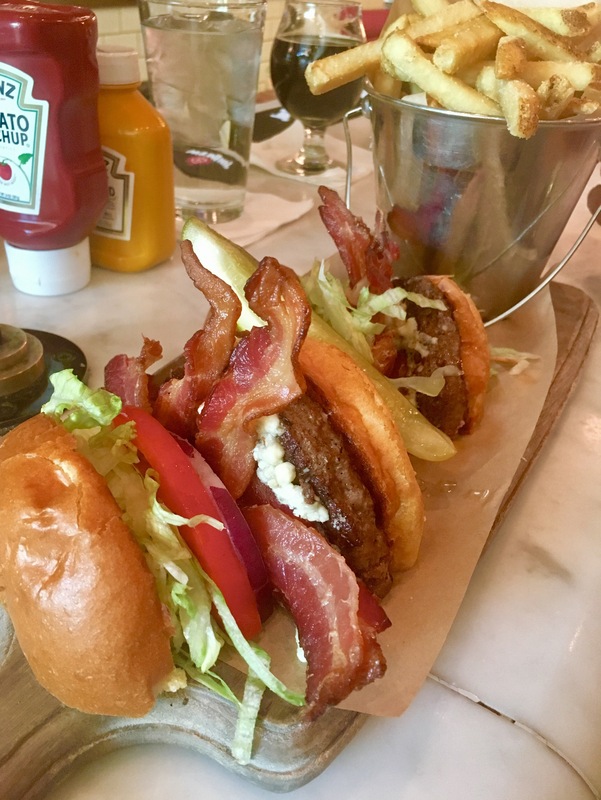 We paired the Dragon’s Milk with a hefty burger. Mmmm. I need to do Vegas like this! Every time I go it is way to strip-focused and mainstream and it is so overpriced and crowded! I counted it up and I’ve been somewhere around 15 times and it’s still different every time! If you need any ideas or suggestions besides what I’ve written about, please feel free to contact me for particulars! Will do thank you! 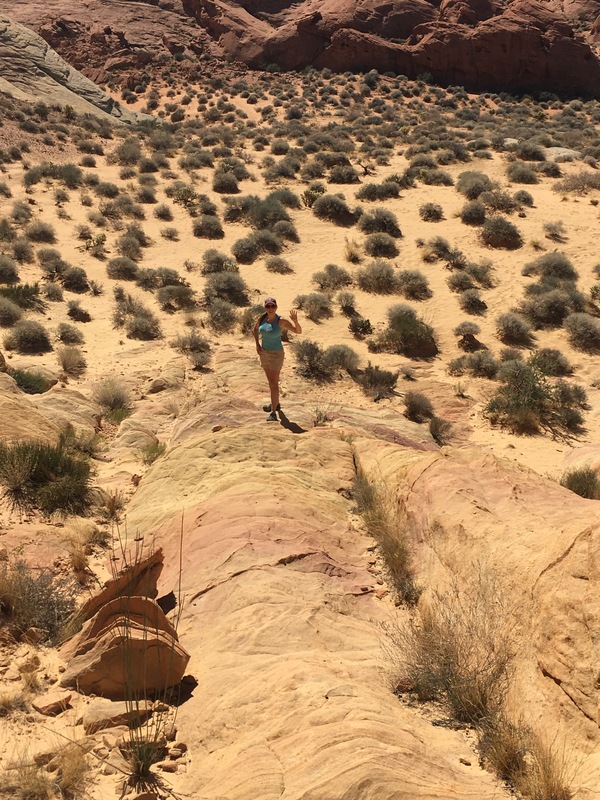 I am actually going to Vegas for a conference in a few weeks, but I think it will be mostly work so I won’t be out exploring much. We are staying on Lake Las Vegas.